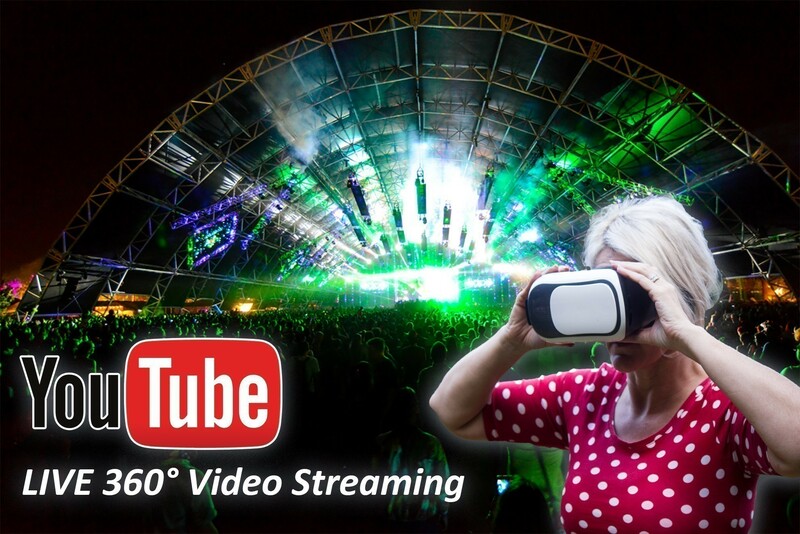 On Monday, April 18, 2016 YouTube announced on their official blog pages that they will be adding live 360° video streaming to the YouTube platform. This is awesome news for 360° video fans and owners of Google Cardboard glasses or any other Virtual Reality headsets. It was founded by Paul Tollett in 1999 and is organized by Goldenvoice, a subsidiary of AEG Live. The event features many genres of music, including rock, indie, hip hop, and electronic dance music, as well as art installations and sculptures. Across the grounds, several stages continuously host live music. The main stages are: Coachella Stage, Outdoor Theatre, Gobi Tent, Mojave Tent, and the Sahara Tent; a smaller Oasis Dome was used in 2006 and 2011, while a new Yuma stage was introduced in 2013. And after years of live streaming Coachella for fans around the world who can’t attend the festival, this year we’re bringing you the festival like never before by live streaming select artist performances in 360 degrees this weekend. The music festival is one of the most watched music festivals in the world, and by broadcasting it live in 360° video is going to reach even more people who wanted to be at the festival but could make it! Why is 360° live video streaming going to be awesome? Imagine the Springboks are playing a world cup in Australia and you cannot be at the match. The broadcasters broadcast the game in live 360° video and suddenly you can watch the game live in real time on youtube as if you were at the actual game. This does not only apply to sport, if there is a music concert or festival anywhere in the world and the event organizers broadcast the music event live using the 360° live video YouTube platform you can now watch the show as if you were there. What is also super cool is that this will also create a archive of live concerts. So anytime even 20 or 30 years from now you can simply sign into the 360° video stream and watch the concert if you were physically at the concert. On the YouTube channel they announced it by saying “Today, we’re taking immersive video even further with 360-degree live streaming on YouTube.” We firmly believe that we are standing at the dawn of a new era, as virtual reality is getting better and better almost on a daily basis. Things are only going to get more real. Watching a live stream 360° video is going to change things forever it is almost hard to believe, that soon we would be able to travel virtually to any event in the world that is broadcast in 360° video and watch it as if we were there. Things can get so awesome that if there is a major news event happening in the world, we could go there and see exactly what is happening as the news are breaking. Why do we say watching 360° video is almost like being physically there? When you combine a virtual reality headset with a live 360° video stream you can feel as if you are at the event. The Virtual Reality Headset allows you to immerse yourself into the live video stream. The headset allows you to look left and right up and down as you would in real life, and the video correspond with your head movements. So if you are looking left or turning your head, the movie also changes, allowing you to look where you want to. You can turn 360° around and view the video from all angles. This tricks your mind, and it can be so real that you feel you are at the event. The Virtual Reality also tricks the mind, and stuff like people, cars and building are seen at more or less the same size as you would have seen it if you were really looking at these people, objects or buildings. There is currently some limitations to 360° video, and focusing on distant objects or close objects are slightly different than what people see in real life, but at the moment the experience is good enough to trick the mind, and some people may not even notice it. In the near future as Virtual Reality technology gets better, they may discover how to deal with natural human focus and then the experience might even be more real! Here is a cool example of the New Orleans Jazz with spatial audio. The video showcase the New Orleans Jazz building and gives visitors a short introduction to the history of jazz in New Orleans. It also showcases some performances of Jazz artists in New Orleans. It might not be the best example for everyone because Jazz might not be your thing. But the concept is mind blowing. It is almost like “WE” are able to teleport to different places and events in the world, just like the teleport system from Star Trek. Hopefully more and more broadcasters will start making use of 360° Video and the newly announced Live 360° video broadcasting from YouTube. Exciting times indeed!